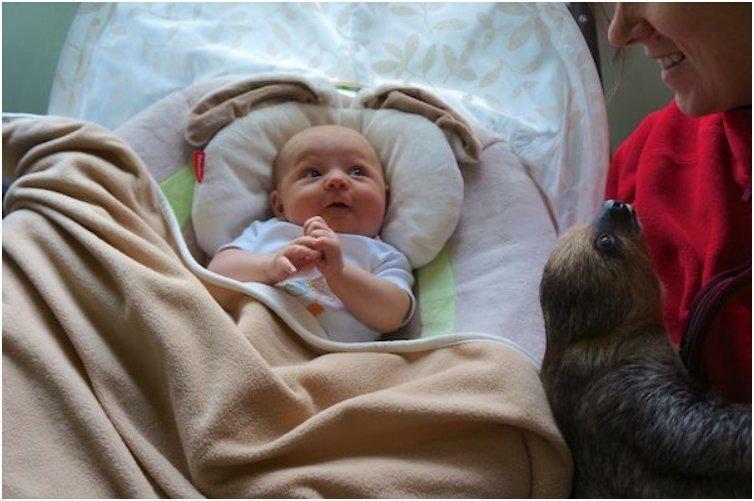 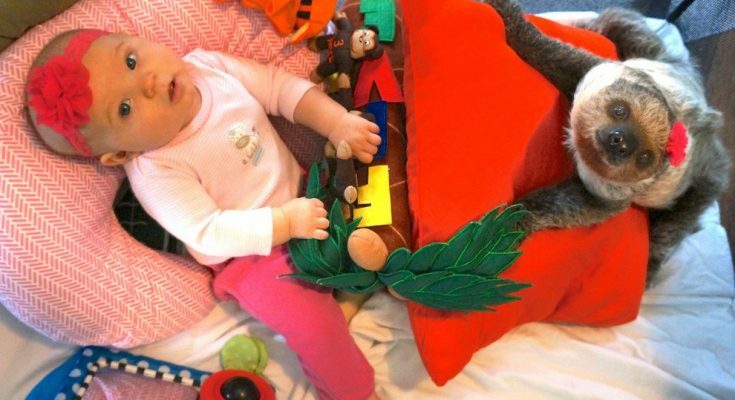 Most new parents are a bit apprehensive about introducing their baby to their pet dog or cat, fearing about how the pet will react or about the health issues from keeping the animal and the baby together. 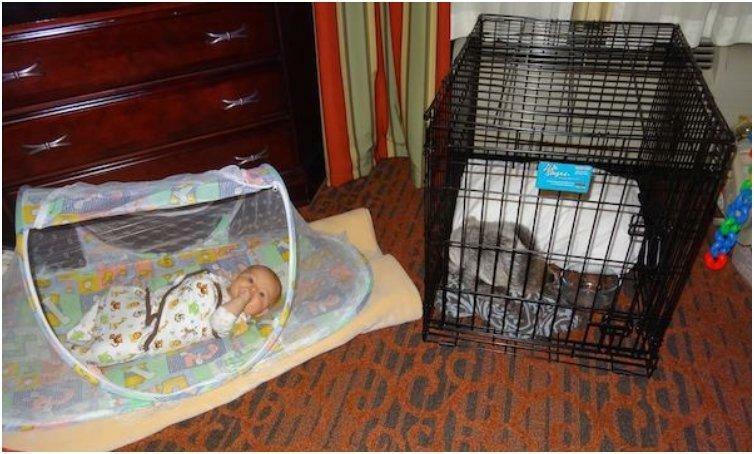 But, if these parents can handle having a baby with their pets, everyone can. 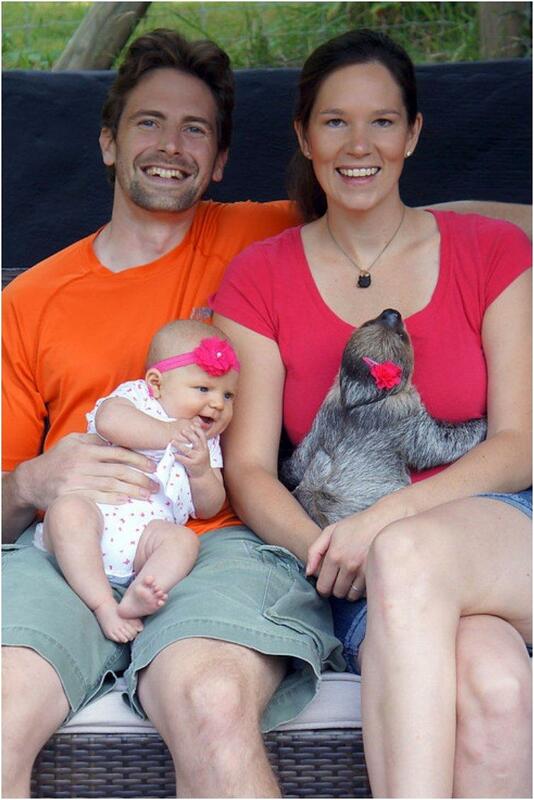 Julia and Jason Heckathorn are an ordinary family, with some extraordinary pets. 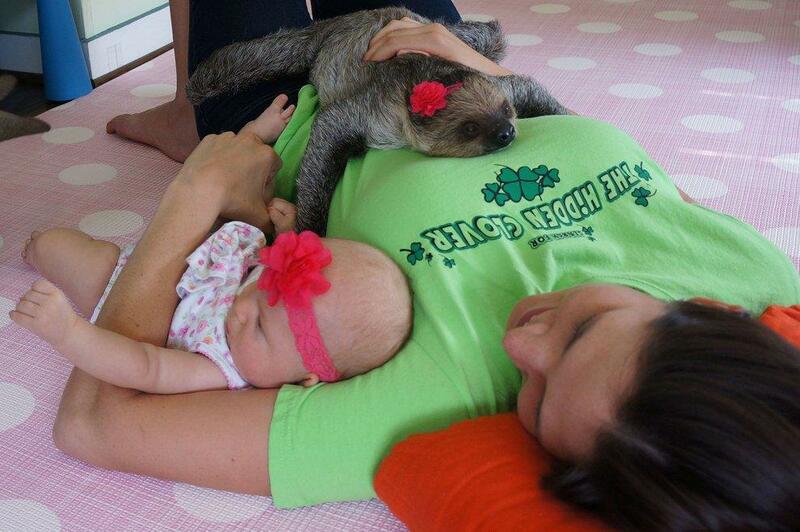 They have a kangaroo called Boomeroo, an anteater called Noche, sugar gliders and a cat called Larry. 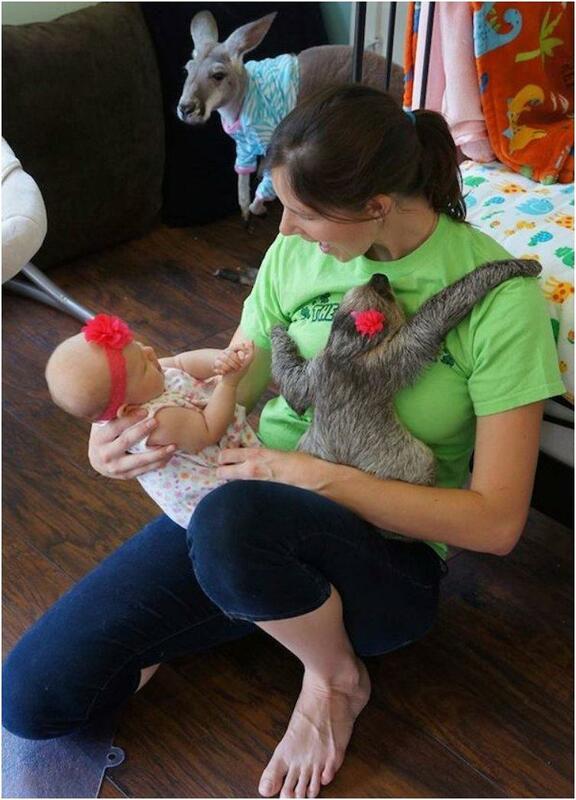 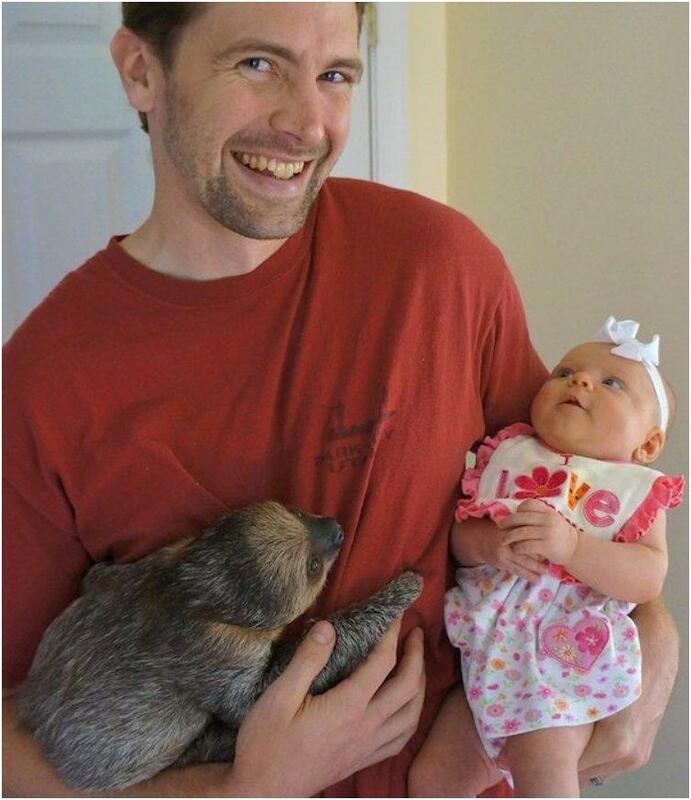 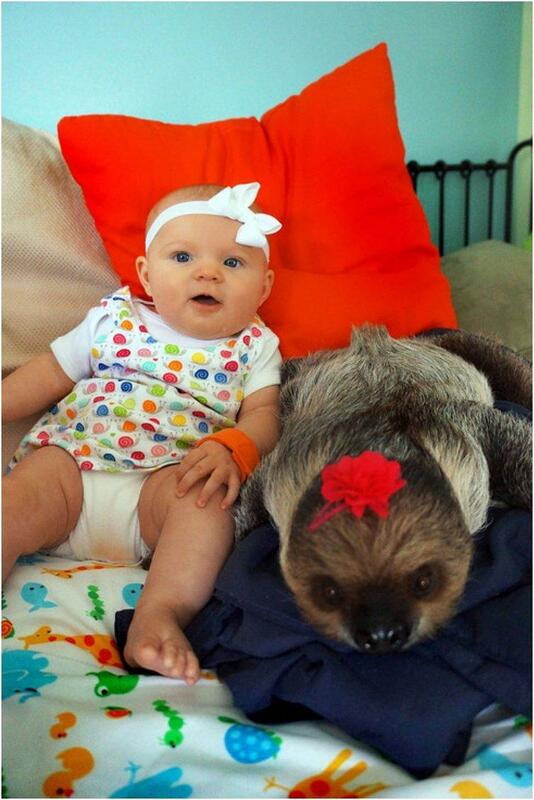 They even adopted a baby sloth named Daisy, right before finding out that to have a baby. 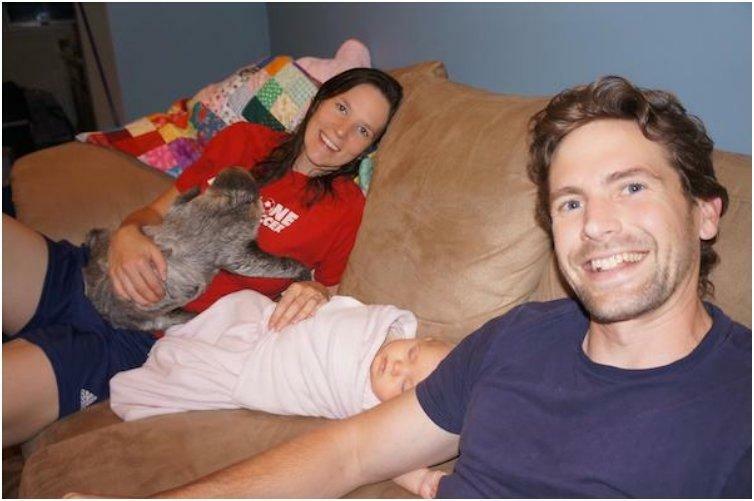 Instead of finding new homes for their existing pets, like most people would’ve done, these animal loving parents felt like it was faith that their baby is going to have a new furry friend waiting when she arrives. 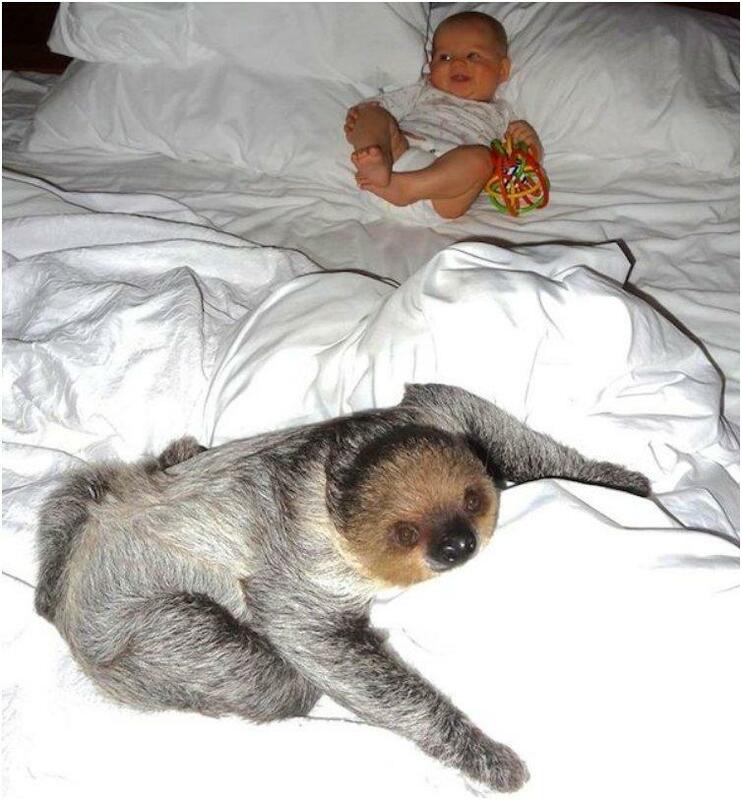 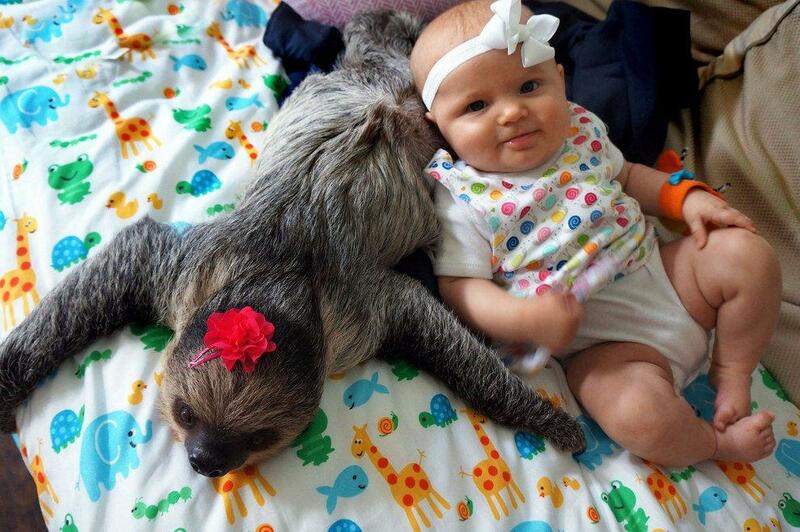 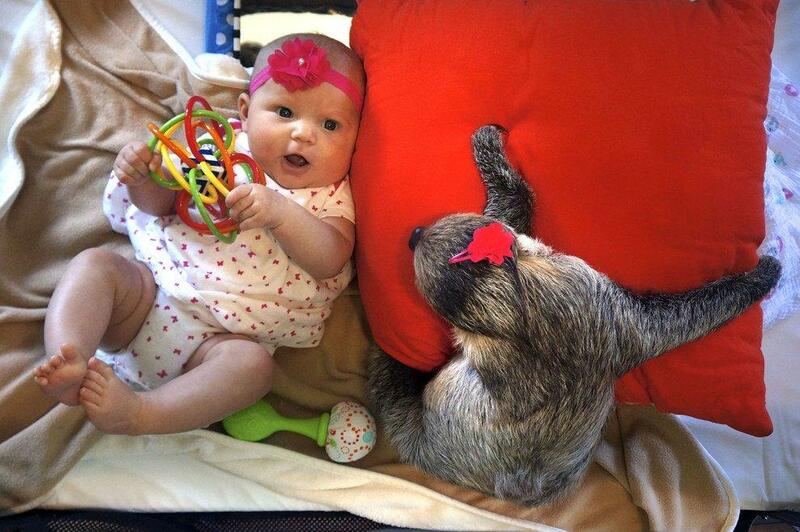 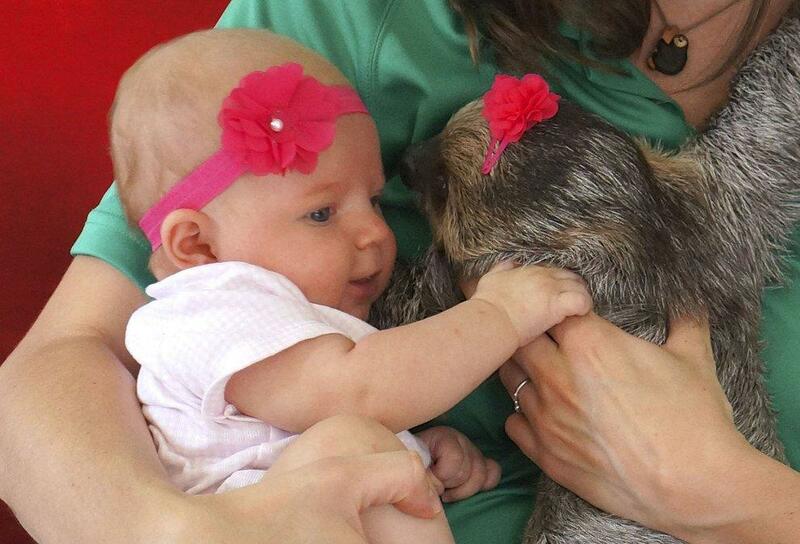 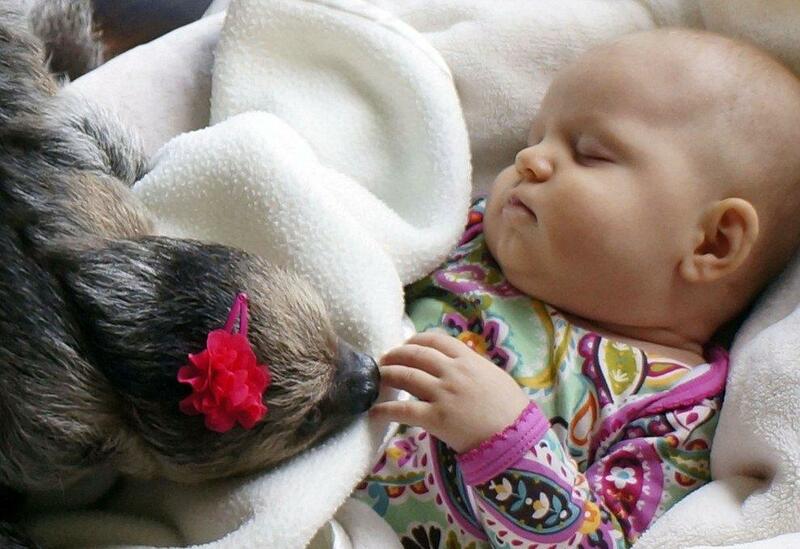 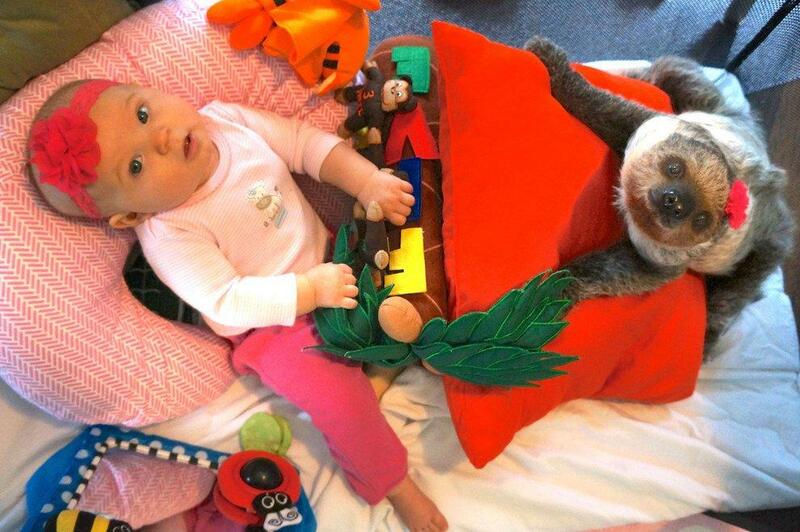 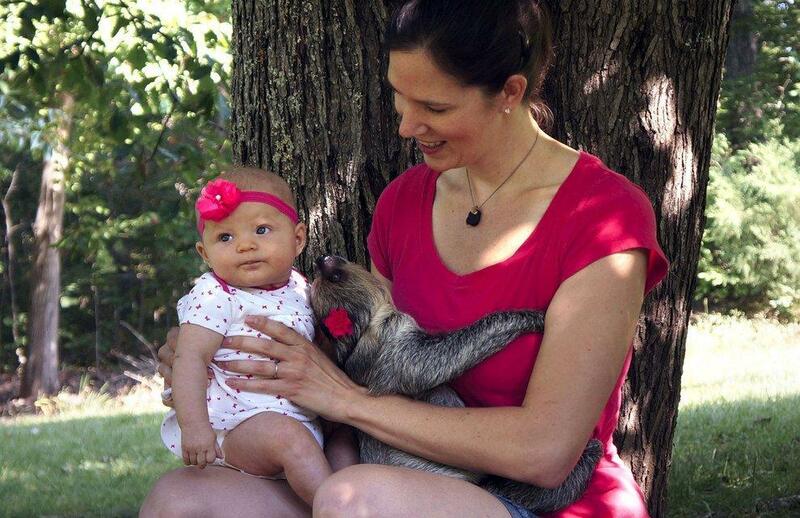 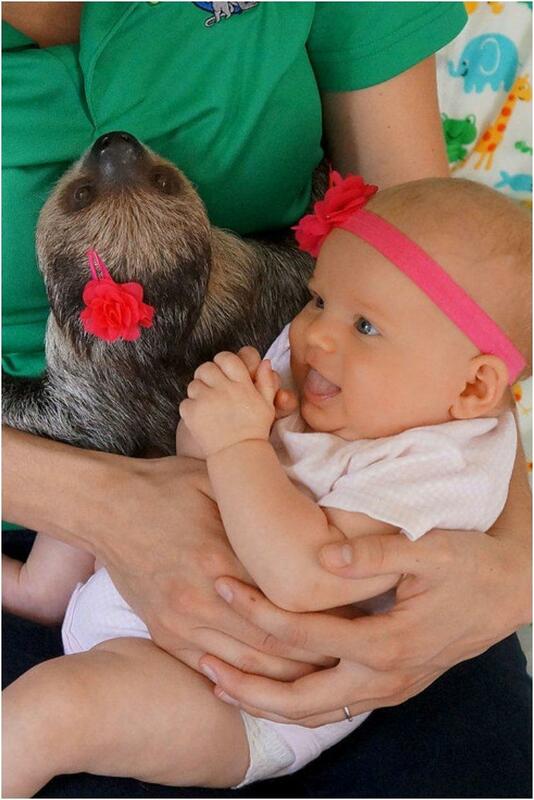 The baby Alia and the sloth Daisy are inseparable from the moment they’ve met, a few days after Alia was born. 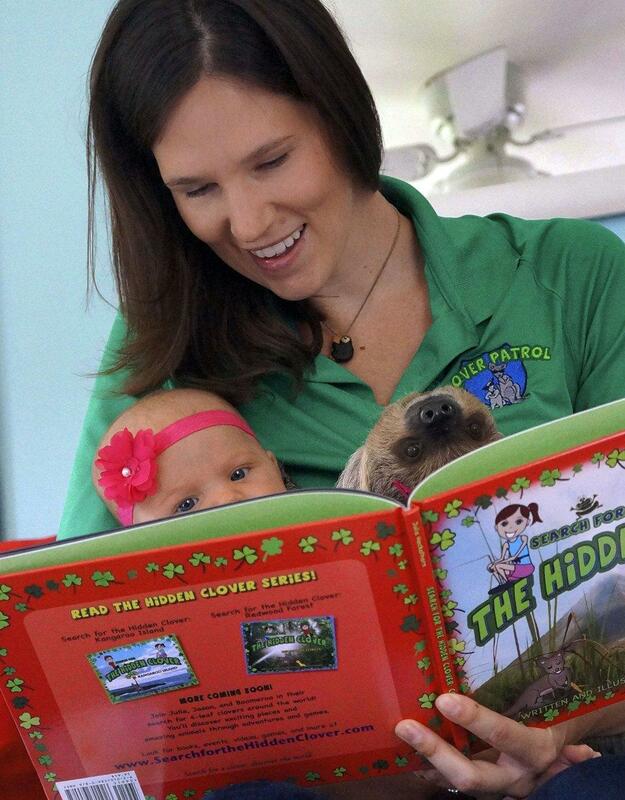 The mother, Julia is the illustrator of the children’s book “The Hidden Clover” that teaches children about the importance of nature and animals, and she, her husband with the rest of the happy family truly lead by example. 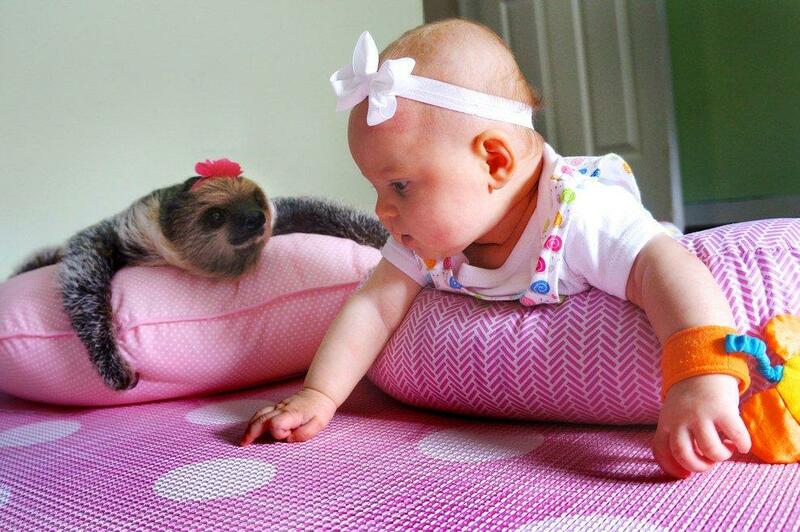 Seeing Alia and Daisy together is simply precious and are an example love and friendship have no boundaries.